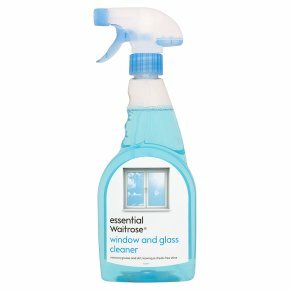 Keep your windows and mirrors looking spotless and streak-free with this window and glass cleaning fluid. The cleaner is part of the essential Waitrose range and as such it offers quality as well as value for money. This bottle contains 500ml of window and glass cleaner and comes with a handy spray nozzle for even distribution.